A Unique a Cappella Experience! 3rd Place at the 2013 International Harmony Classic Competition in Hawaii. Who is The Virginia Coast Chorus? 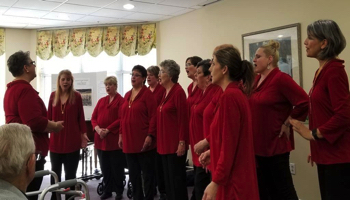 Virginia Coast Chorus is a membership organization of female singers, who meet regularly to practice and learn singing and performance skills. We perform, socialize, and have fun doing it all! View the Virginia Coast Chorus' latest Regional Contest Video here! All our rehearsals are open to the public and to potential new members, so come on out and visit us soon! Do you Recycle your trash, give or use gift cards, shop at Krogers or buy online via Amazon? These are all ways that you can support your local Chorus! Click above to learn more. 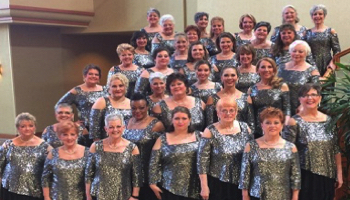 Want Virginia Coast Chorus to sing at your next function?